Frustrated by unresolved family business issues? What do the world's leading families know that you don't? What do the world's leading family businesses and family offices know that you do not? Grow your business and strengthen your family relationships; Learn from successful business families and leading experts. The Forum is designed to be a friendly and safe environment for you to find the answers to your toughest family business questions. It will address issues that apply to any family firm or family office and families travel specially from 30-plus countries and every continent. Our 19th annual Family Business Forum will take place on June 19-21, 2019 in the Ballroom of The Dorchester, Mayfair, London. Please simply click here to hold your places on option at the lowest early rate. What makes the Forum really special is the range of live family cases covered over two-and-a-half days. In many sessions, participants hear about a challenge faced by a family speaker, discuss the case in table-sized groups, then learn about what the family actually did. In others, they engage in an interactive dialogue with the speaker. The final morning is a peer-to-peer discussion with the topics chosen by you and the other participants. The main facilitator will be one of the world's leading teachers, writers and consultants on family business Mr Peter Leach of Imperial College, London, author of "Family Enterprises, The Essentials". The Forum fee includes complimentary Business Momentum Club membership for one year. Membership means, quite simply, that you can call on us, year-round for support and assistance. We will connect you with other families to learn from each other's experience including one-on-one dialogue, peer-to-peer mastermind calls, internship exchanges and invitations to third party events. The Family Business Forum is designed exclusively for family members with major family firms or family offices. In today’s sessions, you will hear from and work with families from every continent, discussing genuine situations in table-sized groups. One of the world’s leading teachers, writers and consultants on family business, Peter Leach has worked with hundreds of business families across the world. Each day, Peter will facilitate discussions, draw conclusions and contribute his own presentations. His opening session will introduce several key concepts that will be addressed in more detail by the family speakers. Being a family-controlled business brings special challenges to business governance. In a thought-provoking opening session, a non-family Chairman of a family-controlled business will discuss business governance and what makes a board effective. Drawing from a long experience on several boards and as former CEO of a large group, he will look at what makes a board effective and how independent directors can bring new perspectives to decision-making and help foster family trust in the business. By the late 1800s, William and Edmund Vestey were successful pioneers in cold storage. The company developed internationally, into a vertically-integrated food business including farmland (particularly in Latin America and Australia), shipping (the famous Blue Star line) and distribution (over 3,000 butcher shops in the UK). However, by the 1990s, with market changes such as out-of-town supermarkets, Vestey decided to break up its integrated model to refocus on food, farming and trading. 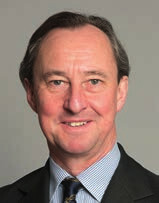 George Vestey (fourth generation) was appointed CEO in 2010, after roles inside and outside the business. George will discuss the special challenges of family executive leadership, having followed on from a non-family CEO. He will explore how family owners can positively influence business culture and provide stability, particularly during times of change for the business. Founded in 1905, with a small wool spinning company, today the Mulliez family has a portfolio of over 50 companies, with 45 created by family members. Their brands include Auchan, Decathlon, Leroy Merlin, Pimkie and Flunch. Worldwide, there are 750,000 employees, 1,400 descendants including in-laws and 140 family non-executive directors. Finally, 750 family shareholders co-own the Association Familiale Mulliez (AFM) which, in turn, invests in the individual companies. During a successful international executive career, family member Antoine Mayaud was appointed to the main AFM family board for 16 years and, today, is particularly focused on ensuring close ties between the family and its businesses. 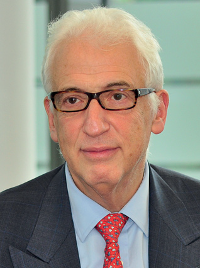 In this interactive afternoon session, Antoine will outline a number of key areas in which the Mulliez family has tried to do things differently such as: giving the same duties and rights to spouses as to blood descendants or encouraging very large numbers of family members to be shareholders, non-executive directors and “normal” employees. Participants will work in table-sized groups to consider these particular Mulliez characteristics and how, in their own firms, they might challenge current perceptions and generate new ideas. Today’s sessions answer your toughest questions on family governance, succession and the key factors in family business success. You will also hear about the power of storytelling and how it can help you understand your family purpose. The late Sheikh Salem Bin Mahfouz rose from a modest background to found NCB, Saudi Arabia’s first bank, in 1953 and SEDCO in 1976. SEDCO has since grown from a small trading firm into one of the region’s largest property developers and investment managers. After an opening presentation by Peter Leach, Rasha will explain how, in the 1990’s, the family created a comprehensive family governance system, including a family constitution, assembly and family council. More recently, with over 200 family members, new innovations have been added such as family board observers and family employment policies, along with education and development of the next generation. What drives your family? What drives you as a family member? What is the purpose of your family business? This enjoyable, thought-provoking session should help you answer these questions. Academy Award®-nominated film director Mark Hopkins and Saïd Business School anthropologist Dr. Bridget Kustin will explain how the power of storytelling can help you better understand and articulate your family story, and your family business purpose. Using your own smartphone, you will be guided through a story-telling exercise, responding to a prepared set of questions. Finally, Mark and Bridget will identify common themes and draw broader conclusions. What Are the Key Family Business Success Factors? Peter Leach will suggest that one of the secrets of family business longevity is a willingness to address “tomorrow’s predictable problems today”. In other words, it is better to tackle a potential future issue by agreeing a family policy, rather than waiting for it to become a source of family tension. In the first part of the afternoon, participants will work in table-sized groups to review factors that help to predict family business success and assess how they rate against them. Participants will advise each other on aspects that they would most like to improve. Conor Roche and his third generation (G3) siblings are in the unusual situation that both parents come from separate family business backgrounds: NTR, a world-class renewable energy provider and The Doyle Collection, a group of luxury boutique hotels. He will explain how a legacy of disunity during G2 in both his parents’ families had made them determined to adopt a different approach, together with their children. In the next part of the live case, participants will consider what the Roche family could have done to address potential future problems. Conor will then explain what the family actually did, including developing a collective vision based on “Roche family partnership”. It included creating a family constitution, communication training, early transition of ownership from G2 to G3 and developing a family office. Finally, Peter Leach will draw broader lessons and conclusions. The final morning is devoted exclusively to peer-to-peer advice and discussion. In feedback each year, this workshop is rated as the most valuable part of the Forum. It is the opportunity for participants to seek advice on whatever questions are on their minds by drawing on the hard-earned experience of the other families and practical advice from the facilitator. Workshop facilitator Peter Leach is a leading advisor, teacher and writer, helping family owners around the world. His work includes creating governance structures, facilitating next generation participation and drafting family constitutions. Participants will work in table-sized groups to explore their own challenges or opportunities. Peter will answer outstanding questions so that participants return home with clear next steps. The workshop lasts all morning, ending with a Farewell Luncheon for all participants. If you are interested in the June 2019 Family Business Forum then please click to hold a place on option and we will hold a place at the lowest rate available and send you full details.